Full scale loft conversions are possible in most UK properties though the amount of work needed will vary from home to home. Of course situations do vary and we’ve tried to address that by looking at individual towns and cities across the country. By the way, a ‘full scale’ conversion is taken to mean converting your roof space into an inhabitable room – if you simply wish to build a storage solution then there really shouldn’t be an issue. But, for larger projects, it is necessary to assess the potential in your roof space before making plans. The advice of a specialist building company or architect will be needed before your plans are finalised but the homeowner can quickly work out if his / her roof space is suitable for a conversion by inspecting the loft for themselves. Prior to making any firm plans climb into the roof space and take a quick look around. 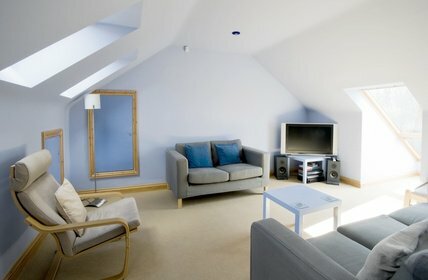 The key to most loft conversions is how the roof was built and the headroom available. A truss rafter roof will essentially mean that a number of structural alterations will be necessary to the property whilst a traditional rafter and purlin style roof should mean that converting your loft will be relatively straight-forward. If your home is a bungalow then other factors will need to be considered. To convert the loft most bungalows will need strucural modifications as many were built without load bearing walls. Rafter and purlin – steep pitch to the roof with supporting timbers shaped like an ‘M’ – usually built pre-1965. You can read more about the different types of roof here. 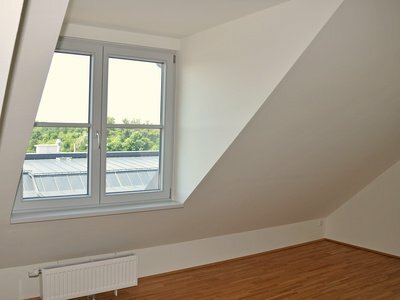 Headroom – the headroom in the existing loft should be around 1.8 meters though obviously the more room the better. Complexity – depending on your final design choice you may have to consult an architect or designer. For less complex loft conversions your builder will probably provide a plans drawing service. Staircase – stairs are an absolute must if planing an habitable room in your roof space and simply using a ladder is not permissible. 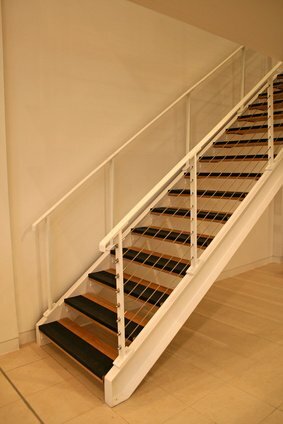 There are different options when thinking about stairs but one thing you must be clear on is the actual location of the new staircase. Safety – when assessing the suitability of your roof space bear in mind the need for safety - especially the need to comply with the fire regulations. Planning – most loft conversions don’t need planning permission but if your roof space is restricted then you will probably need to install a dormer in which case planning consent will probably be needed. Also remember to take into account the building regulations (see the Golden Rule below) and the Party Wall Act. Plumbing – will your current central heating system be able to cope with the addition of heating into your roof space? Regardless of whether it can there will certainly be other plumbing issues to consider including the location of water and waste pipes. The cost – adding a conversion to your home will increase its value but obviously the initial outlay or available budget will impact on your plans. Apart from these basic considerations most loft conversions will be possible though it is obviously best to have your plans professionally drawn up to your own specifications. The one golden rule if you want to build a loft conversion is…..play it by the book. I’m sorry if that sounds boring, safe and predictable but please don’t ignore it. If you build a loft conversion your work simply must have building regulations approval and, in some cases, planning permission. Don’t let the prospect of red-tape put you off. The building regulations are there for your protection. Though many misinformed people seem to think otherwise. It really is astonishing the number of unauthorised loft conversions there are in the UK. When I was developing the idea for this site I spoke to three friends who, in the past, have all built a loft conversion. Not one of them had the correct, or indeed any, building regulations approval. The main reason being they couldn’t be ‘bothered’ to do the paperwork and, anyway, if the builder didn’t mind what was the point? The ‘point’ is that not following the golden rule and doing things by the book can end up in disaster. This unfortunate lady lost over £20,000 and ended up without a loft conversion. If you don’t have building regulations approval you risk all sorts of problems and, when it comes to selling your house in the future, you may lose a sale by not having the correct paperwork to show prospective buyers. Update - two of the three friends I mentioned subsequently found it impossible to sell their properties because they did not have approval for their loft conversion. They have both had to pay for more work to be done to bring their lofts up to standard and to get their final completion certificate from the local council - Don't make the same mistake! The excuse about red-tape simply isn’t valid. Making a building regulations application is not difficult. If you engage an architect or specialised loft conversion company they will do the application for you but, as the homeowner, it is still your responsibility to ensure the correct permission is granted. The biggest advantage in obtaining the correct approval when you build a loft conversion is that the councils building control officers will be a safeguard against poor workmanship. He will ensure your original plans are within the law and will make site inspections to ensure that the work carried out by your builder is up to standard. The actual process of obtaining building regulations approval is quick and straight-forward and should be just a matter of routine in your planning. Building work will not be held up and your project will be completed without problems. All reputable specialist loft conversion companies are very experienced in dealing with the building regulations and will easily guide you through them. Advice on choosing a builder can be found here but, of course, there are builders out there who will not do things by the book. They may even do a good quick job – a basic conversion could be carried out within a couple of weeks - but do not be tempted. In the case of loft conversions taking a short cut really is the road to nowhere. Build your loft conversion by the book and obtain the correct building regulations approval. And, if in any doubt, simply give your local authorities building services department a ring and they will be happy to advise you. They are there to help. Use them. After all, you may as well get some value out of your council tax payments.